LoveBlock is The Decentralized Database for Dating - DDD. 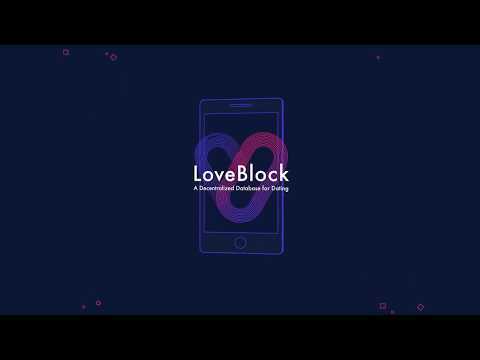 LoveBlock (LB) is the most innovative Blockchain technology solution for dating worldwide. The LB blockchain infrastructure and dating platform are being built on the grounds set by EOS. LB will solve the core issues associated with online dating such as fraudulent activity, motivation to use the services by earning tokens and security by using the blockchain. Based out of our Singaporean laboratory, the LB team is working closely together with the hugely successful dating app Luxy (www.onluxy.com) who currently has more than 2 million users across the globe. With LB, fraud will easily be identified via our unique verification system. The information will be saved and encrypted on the LoveBlock blockchain allowing the data to be shared with other DApps. This will expose the scammers, thus preventing them from creating any more harm across the whole network. LoveBlock solves the core issues associated with online dating such as fraudulent activity, motivation to use the services by earning tokens and security by using the blockchain. With LoveBlock, fraud will easily be identified via our unique verification system. The information will be saved and encrypted on the LoveBlock blockchain allowing the data to be shared with other DApps. This will expose the scammers, thus preventing them from creating any more harm across the whole network. With LoveBlock, each user’s behavior will be quantified depending on how valuable their contribution is to the network. More positive behavior will result in greater rewards for theuser, thus motivating continued and meaningful use of LoveBlock indefinitely. With LoveBlock, no one computer or server will house user data, preventing the security issues that have plagued the dating community for too long. On top of this each user will be able to set up personal circles made up of friends and acquaintances. Dating circle members will be rewarded for getting friends to join them and contributing to a more meaningful dating experience. LoveBlock Anti-Scam Method is created. The LoveBlock Reward system is designed. Our Reward System is the key in the LoveBlock ecosystem. It will moderate the exchange between actors and ensures a sound interaction for both companies and users. Partnership with Dating App Luxy established. Luxy will become the first DApp in the LoveBlock network. Further Luxy will integrate the LoveBlock currency DDD and adapt part of its Reward System. Luxy is starting to accept investments form private and institutional Investors. Reward System implemented on Luxy. DDD tokens issued and trade-able. Integrating fully all partner Dapps to LoveBlock. ‘Dating Circles' as a DApp developed by the LoveBlock team will be transferred to functioning test application. Dating Circles will experience the full power of the LoveBlock Reward System, bring users a social way of Dating and will be completely decentralized. Application based on ‘Dating Circles’ created, established and integrated into LoveBlock.